With only one week left until Batman v Superman: Dawn of Justice hits theaters, the buzz surrounding the upcoming showdown between the Man of Steel and The Dark Knight has reached a fever pitch. That being said, not everyone is as thrilled about the upcoming superhero smack down as you might assume. Some people have leveled accusations at director Zack Snyder that Dawn of Justice looks "too serious," a claim he seems to have effortlessly brushed off. I would go back to the Dark Knight argument and say, "Is that a bad thing? What does that mean?" By the way, the most serious movies I’ve made in the past always have irony in them. I just gave it the weight that it deserves as far as the mythological conformation. But it’s still a guy in a red and blue suit fighting a guy in a black suit. I mean, they’re in costumes. The movie is fun, and Batman fights Superman. If you can’t have fun there, then something’s kind of wrong with you. I’d be lying if I said Zack Snyder doesn’t have a point here. 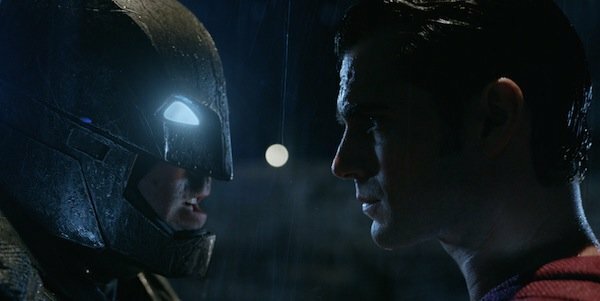 One need only look at Christopher Nolan’s take on Batman to see that a serious superhero movie can work and work well. Snyder goes on to explain that the movie takes itself seriously in order to lend the necessary gravity to its circumstances, but that doesn’t mean that the movie will be completely grim and brooding. Zack Snyder explains that just because a movie looks serious doesn’t mean it can’t be fun. Take his previous film, 300, as an example of a film that’s a drenched in blood, gore, and carnage. The overall tone of 300 is incredibly serious, but it also has its moments of levity that allow the audience to breathe. That’s a method that has worked time and time again for Snyder, and we can likely assume he will employ that technique in Batman v Superman: Dawn of Justice. It also raises another very important question: do we really want more of the same? Marvel already has a monopoly on witty banter and family friendliness in their superhero movies, and Fox has begun to assert themselves as the somewhat brash and outlandish superhero studio with Deadpool and their X-Men universe. Warner Bros. has decided to carve out a niche for themselves by framing the DCEU as a mythological universe – something on par with the Greek gods of antiquity. Zack Snyder has framed his movie as a serious affair because of the sheer scale of the showdown between Batman and Superman. What’s your take on the matter? Does Batman v Superman: Dawn of Justice look too dark and serious, or do you appreciate the tone Zack Snyder is going for? We will just have to wait and see for ourselves when Dawn of Justice finally hits theaters next week on March 25.